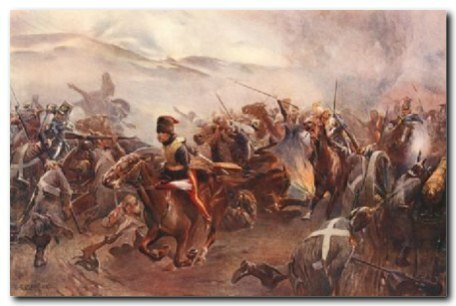 Charge of the Light Brigade, Balaclava, Crimea, October 25, 1854. Rushed headlong forward, flag and lance. Who charged the cannons of the czar? Huzzah, huzzah! the Light Brigade! Huzzah! the reckless dash they made! Not ground nor immortality was bought. The weight of time has crushed their bones.